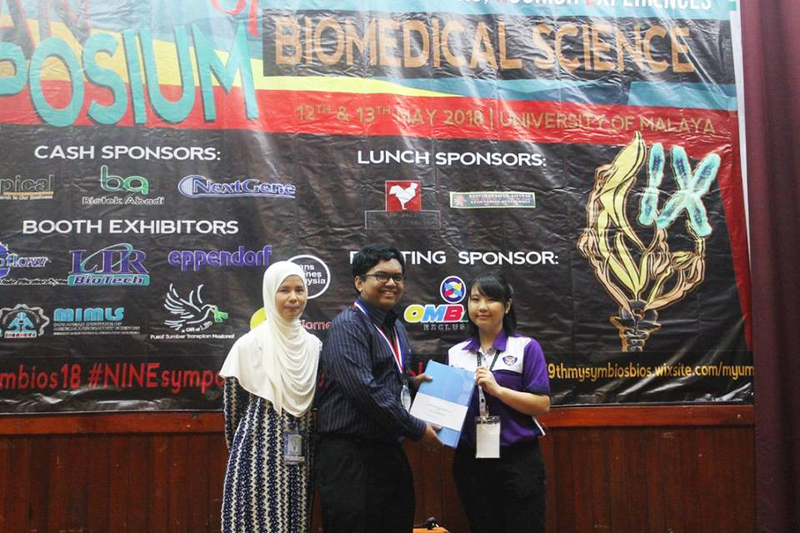 Three students emerged as winners in various categories at the 9th Malaysian Symposium of Biomedical Science (MYSYMBIOS). It was organised by the Department of Biomedical Science, Faculty of Medicine, University of Malaya (UM) from 12 to 13 May 2018, at the Balai Ungku Aziz, Faculty of Dentistry, UM. Themed ‘Navigate Ideas, Nourish Experiences’ (NINE), the symposium attracted over 600 participants. It aimed to provide a platform for developing and strengthening a community of future biomedical scientists that will help drive the advancement of Biomedical Science as a professional field in Malaysia. 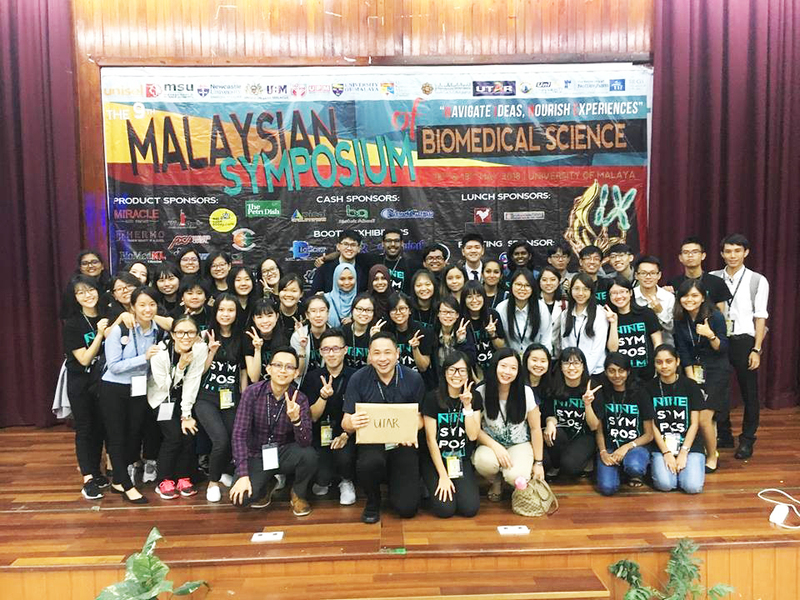 UTAR participants consisted of 60 Bachelor of Science (Hons) Biomedical Science students. They were accompanied by Faculty of Science (FSc)’s Department of Biomedical Science lecturers, namely Yuen Hawk Leong, Ho Lai Yee, Ng Wen Jie and Annaletchumy a/p Loganathan. Other participants included those from UM, Universiti Kebangsaan Malaysia, Universiti Sains Malaysia, Universiti Putra Malaysia, International Islamic University Malaysia, Universiti Kuala Lumpur, Newcastle University Medicine Malaysia, Management and Science University, University of Nottingham, Universiti Selangor and Segi University and Colleges. Year Three student Raphael Joe a/l Joachimdass was the first runner-up for the oral presentation under the category “Non-Communicable Diseases” with his project titled “Antioxidant and Anti-diabetic Properties of Fractionated Durio zibethinus Linn leaf extracts”. 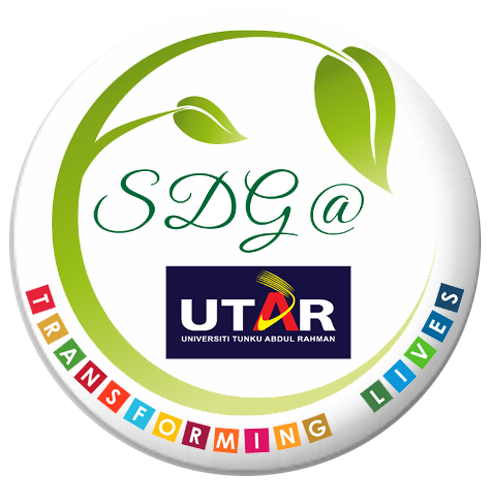 In light of becoming the first runner-up, he expressed his gratitude to UTAR and his supervisor Kokila a/p Thiagarajah for the constant guidance and support that enabled him to complete his project. He also received a medal and cash prize worth RM50. “I am extremely honoured to be given this award and certainly happy because it gives me the confidence to pursue my topic of interest. I believe one of my winning factors is the simple presentation slides that I have prepared, which made it easy for the judges to understand. 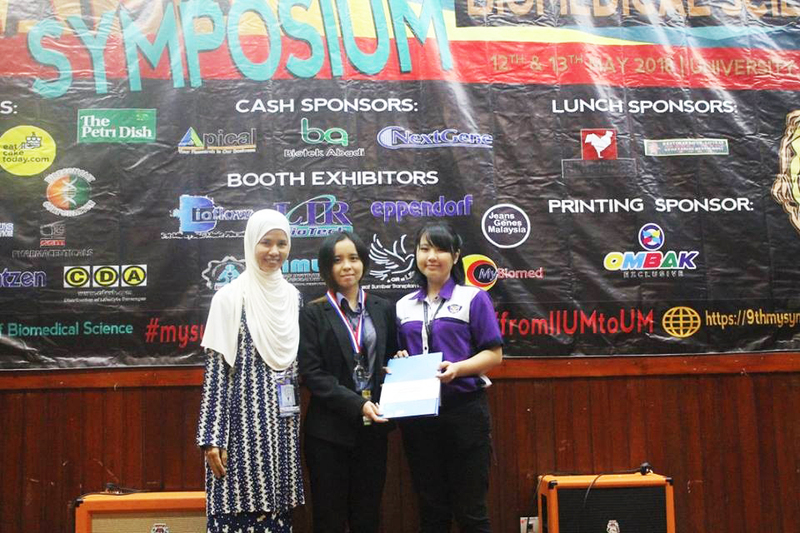 Thanks to UTAR, I was able to gain valuable experience through this symposium,” enthused Raphael. Another winning project was Year Three student Tan Yingying’s research titled “Morphological Characterisation of Isolated Bacillus thuringiensis and Screening of cry cyt ps and chi gene”. It earned her the second runner-up for oral presentation under the category “Infectious Diseases”. She also received a medal and a certificate. Her research aims to understand the insecticidal properties of Bacillus thuringiensis and its potential in targeting human cancer cells. Her results have shown that when applying the useful properties of the bacteria, chemical pesticides, which are deleterious to human health and to the environment, can be replaced. “Winning this award reflects the hard work I put in for my project and affirms my belief that practice makes perfect. It is really a great encouragement for me and I believe it will help me very much in furthering my studies,” said Tan. 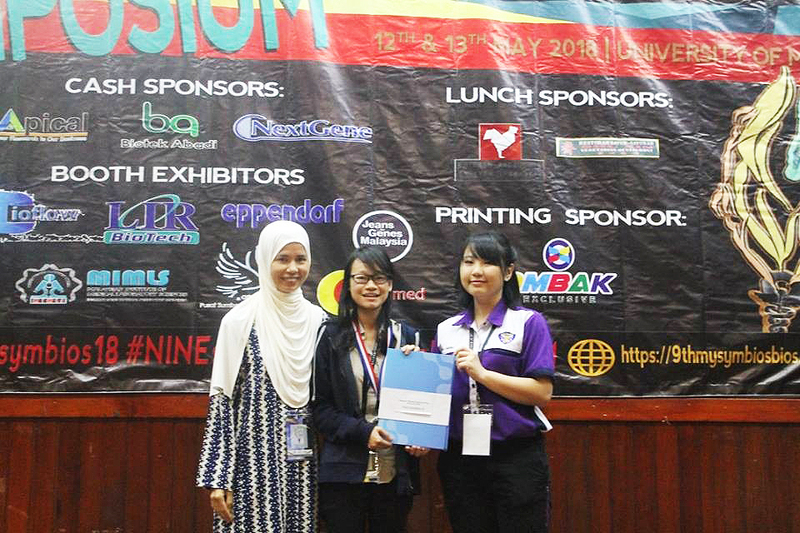 For Year Three student Yong Kah Yan, her participation in the symposium earned her the first runner-up award in the oral presentation under the category “Pharmaceutical and Drug Discovery”. She also received a medal and a certificate. Her winning project was titled “Screening of Antibacterial Potency of Antibacterial Peptide PAM-5 against Selected Drug Resistant Pathogenic Bacteria”. Yong hopes her research will be able to provide a solution to the current issue of the rise in antibiotic resistance. “I am extremely thankful to the people involved in my final year project, including my supervisor Mr Yuen. His guidance and teaching had definitely helped me. The competition was an eye-opener for me and it made me realise that the upcoming generation will also enter the scientific community. I hope they can contribute their best to the previous, present and future scientific works. After all, the discovery of knowledge is a collective effort, and I believe mankind is moving in the right direction by working together and sharing knowledge,” commented Yong.